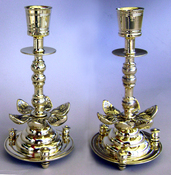 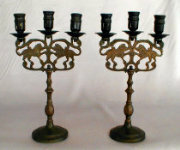 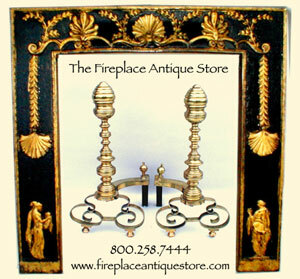 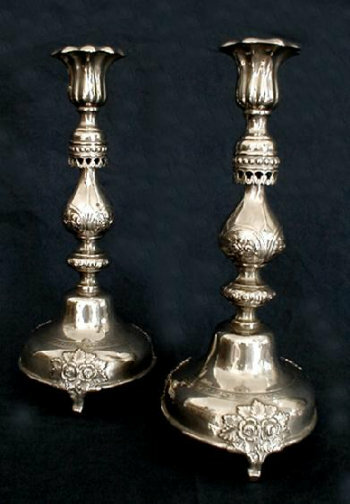 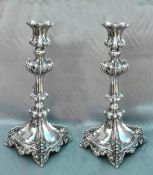 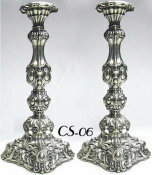 A pair of beautiful Polish Sabbath Candlesticks each set on supports with foliate clusters, a circular dome base with engraving and banding, the baluster stem embossed and chased below and above with foliate motifs. 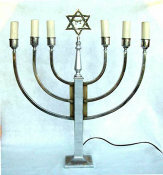 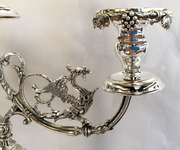 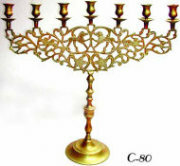 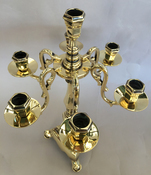 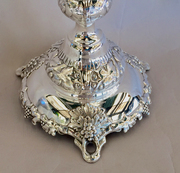 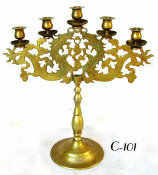 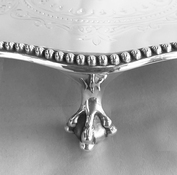 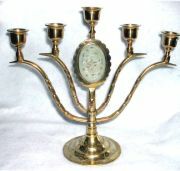 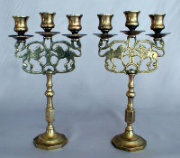 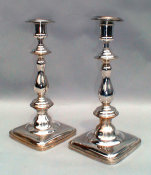 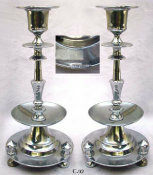 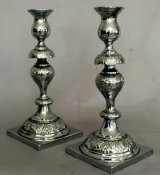 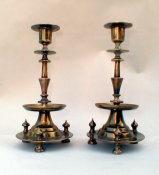 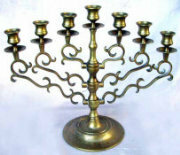 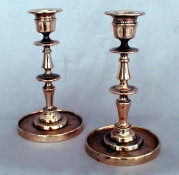 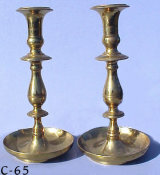 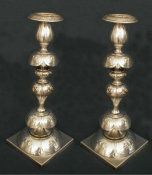 The skirted and pierced candleholder is of petal form. 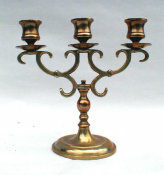 Marked "Fraget, Warsawa, W, Galw. 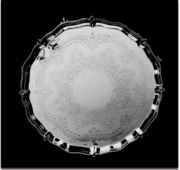 N,W". 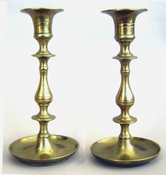 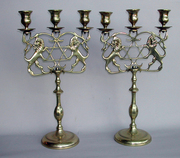 Note: These candlesticks can be restored and resilvered.